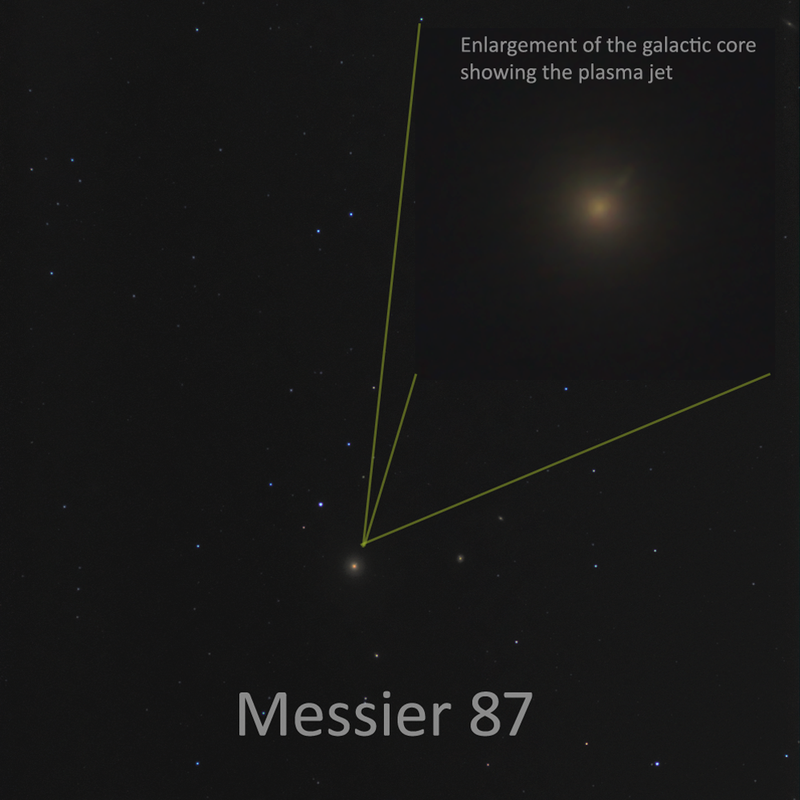 Not to be out done by the Event Horizon Array my take on M 87 in Virgo with an enlargement to show the plasma jet. 127mm Meade Apo refractor - 0.8x focal reducer and field flattener - Canon 600D DSLR - 20 x 2 min Lights at approx f=750mm - ISO1600. Early morning 13th of April 2019. Terrible night with lots of low level cloud and too much moonlight. Mr Canon does make exceedingly good cameras!